I was reading over some fun year in review articles now that 2016 is nearly over and I thought that it would be fun to look back at the Science School Yard and review this year's checklist. 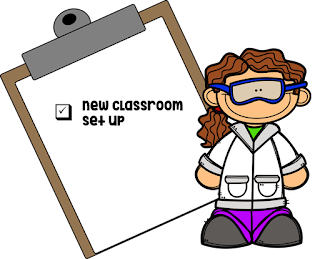 My goals this year were fairly simple...set up a new classroom instead of being in the teacher's lounge...continue to add STEM and a bit of Makerspace into my science lessons, figure out how to use the Ipads that each of the 400 students that I work with will bring to me each and every hour of my school day! Not a small task by any means, but one that I was ready to tackle. I also threw in a graduate class on Inquiry Based Science, and Positive Growth Mindset...not to mention our district's new programs such as Itslearning and Explain Everything that they want us to use. I am always up for a challenge! I think I did pretty well! I look back at how clean and empty the room looks, but I was so excited to get my own room after spending 4 years in a small lounge that we called the science room. 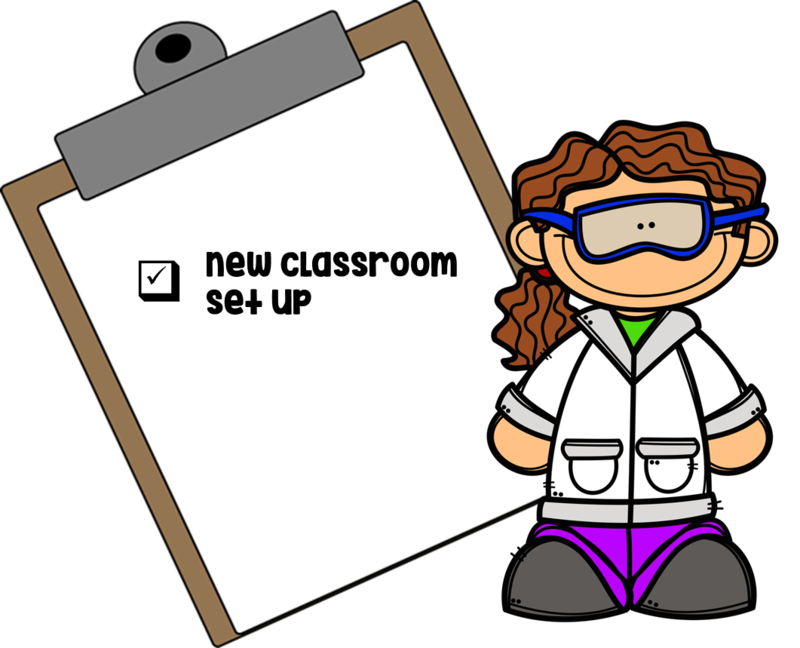 I might have had only a week to get it ready, but waiting for "real" science tables and chairs was worth the wait! 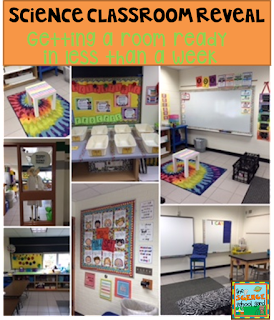 Now, the room looks lived in and the counter is filled with activities ready to go! What I am most excited about are my Digital Activities that I have been making and using in my room! I am using FOSS and going 1:1 and using all those packets and sheets were killing me. So I created packs that would help my classroom teachers and myself to go digital! Teachers can use them on the Ipads or Chrome books that we have at our school! Want to go digital? Check these out! 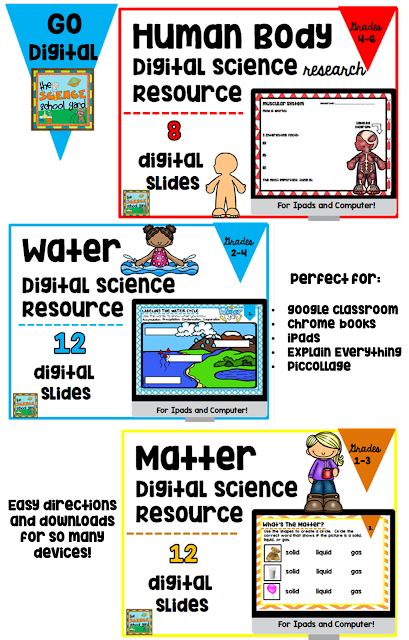 Go Digital with my Digital Science Resources (HERE)! 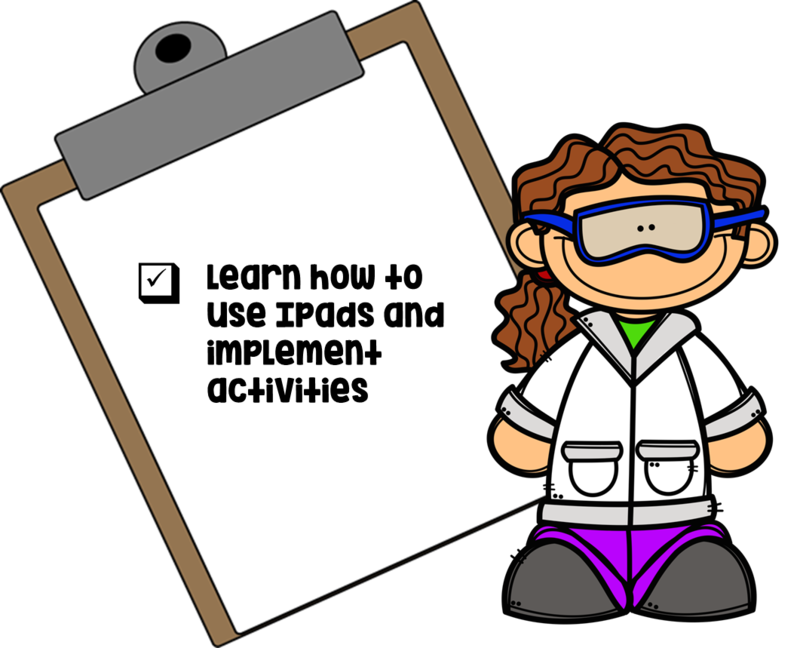 I even started making packs that I could use along with my FOSS packs so that I could have my students use their Ipads instead of all of the paper worksheets! The students love them and it is a great way to assess what they know! I have even started using Itslearning to add quizzes, tests, and tickets out the door that are automatically graded and put in a gradebook for me. This is our district's new way of housing all of our plans, tests, sites that we use, but in the end if I have to use it next year I might as well start figuring it out now. 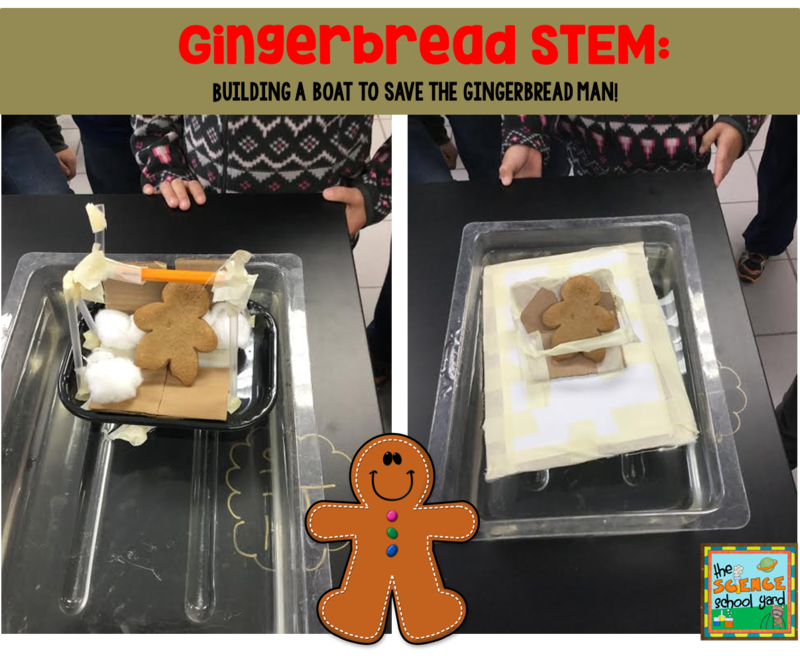 My students LOVE STEM. I use this opportunity in all of my FOSS kits to add some hands on learning opportunities as well as team building! 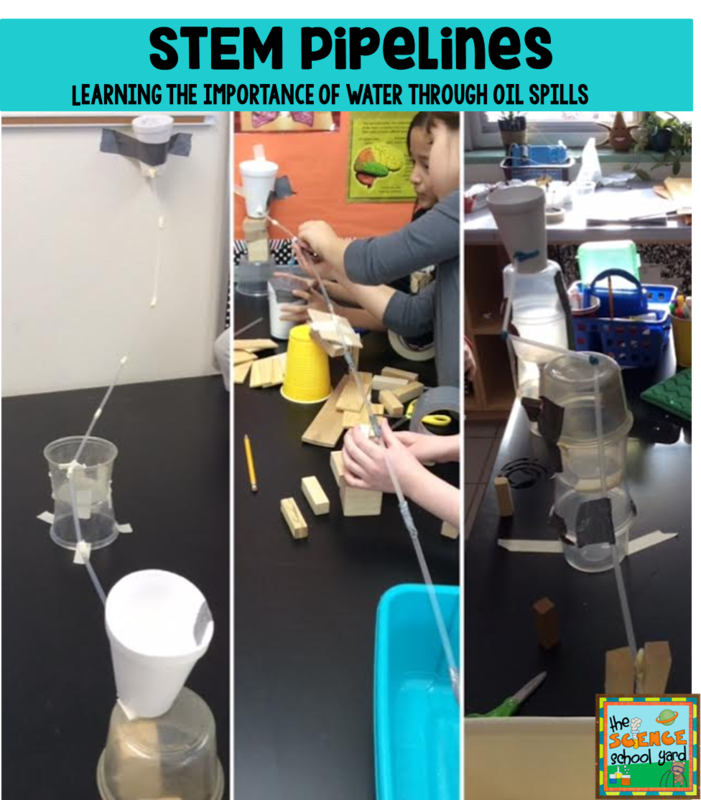 We created pipelines during our first two weeks of our water unit to get the BIG picture as to why we need to study and learn about how important water is! We even found a way to learn about water and buoyancy by building a boat for the gingerbread man! 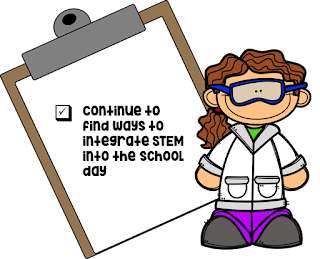 Wanting more STEM for the New Year... I have got you covered! 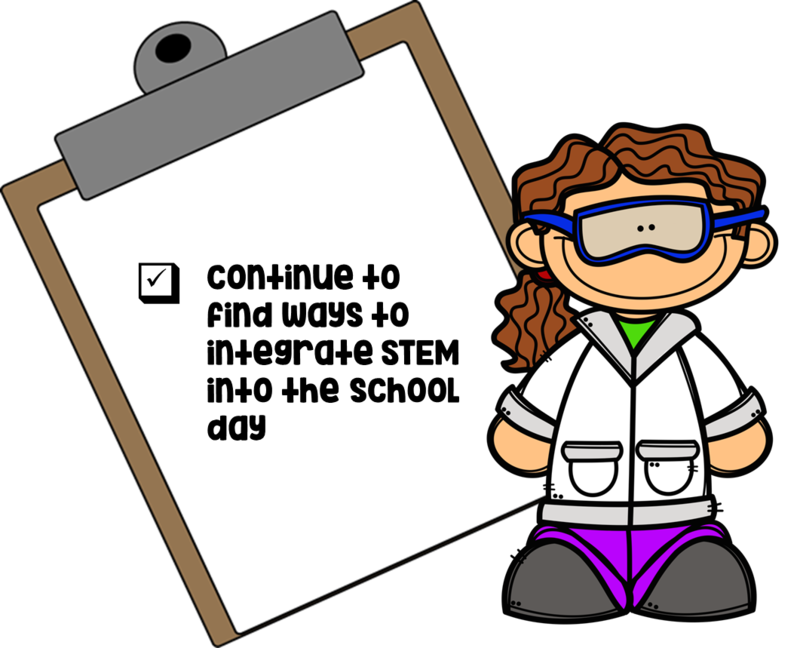 There are so many great ways to add STEM into your school day by integrating them with a great picture book...nursery rhyme...or science fun! 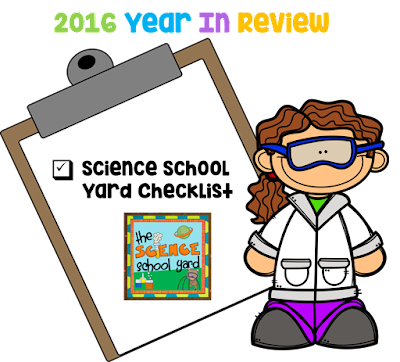 Find it here in the Science School Yard! Great post! I am motivated to try Explain Everything. Thanks! Wow! You should feel great about 2016- you accomplished a lot. I can't wait to hear what you have planned for 2017. I love using Explain Everything with my students and my parents. Here's to 2017.